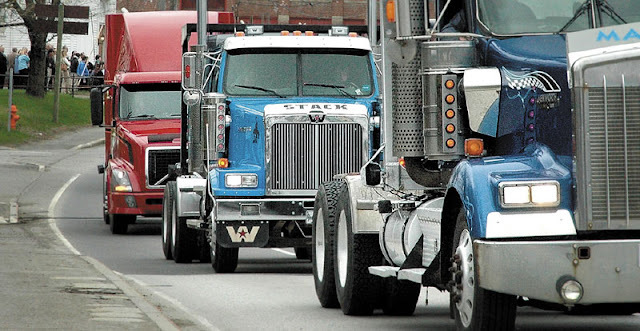 Trucking is an adventurous job for the people those who love driving but a tiring one as well . You have to be on the road for most of the time of your year..sometimes it may include festivals as well , away from your families . You have to eat , sleep and manage all other stuffs on the road throughout your journey. No one wants to be a trucker unless circumstances make him do so . But once he is into trucking stuff , he just don’t cares about what problems are about to come and he just moves on with the loads he has to deliver across two places , to earn a living for himself and his family . Due to increasing road traffic , many accidents happen each day across the globe . So , a trucker needs to be quite attentive while driving as fast travelling highways are full of risks and even a small deviation from attention can turn catastrophic for him and other people on the road . He must be knowing all the traffic rules and the meaning of all sort of those white , yellow stripped lines etc. otherwise he could get into trouble . The poor trucker may also get fined for this and to the worse , he may lose his life . Managing family life from the road is one of the biggest challenges for many truck drivers. They face more than the daily responsibilities of driving a truck; there’s often a family at home coping with every day life. The stress of being away from home and missing family time can be difficult to deal with. The Healthy Trucker is dedicated to the ‘fitness of mind, body and wallet’ by providing free advice and tips for healthier, stress-free living. 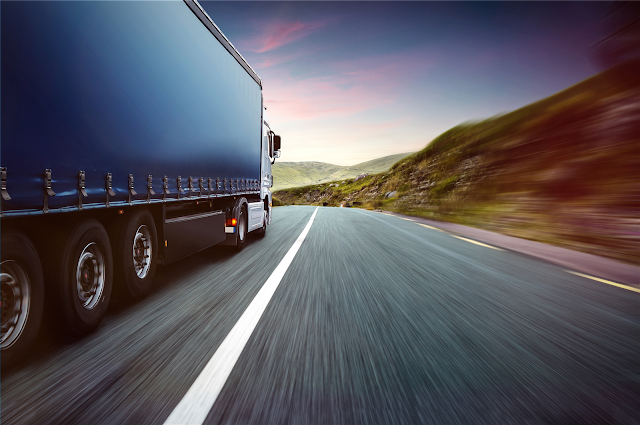 This is the place to find tips for families adjusting to a truck driving family member out on the road. Even when a driver can’t be home every night, there are a number of ways to stay in touch while on the road. 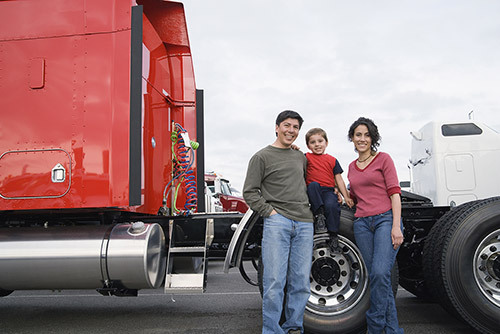 Our Family Life section offers ideas and examples of easy ways that truck drivers can use technology to stay connected with family at home. There are so many things at play working against the driver from the start. Think about it. The general public thinks we pretty much have time and desire to entertain women all over the country (thanks to a few bad examples and Hollywood). Some think that we never sleep and stay drugged up or drunk. So at least a few of your spouse's friends will probably have that same set of thoughts about truckers. If your woman isn't the type of woman that stands up for what she knows and shut down the negativity that will likely come from the mouth of her so called friend, those negative thoughts can easily take hold in her own mind. Also, if your woman complains about every little thing about your relationship, it opens the door to that negativity as feedback. Some woman will start doubting the man's commitment. Then, some types of women instead of talking about it, will feel the way to deal with it is to get back at you by having an affair. She loses her feelings, forgets about the future plans, gets all the money she can from the driver and lives a double life (sometimes times in the drivers home while he's paying all the expenses). Or.....she becomes somewhat depressed because of her thoughts and communicate differently with you. You interpret this as something going on and your attitude changes. Now you are acting more like what she expected to happen which only makes her thoughts worse. Well as you can see this can go on and on in the wrong direction for a long time and could easily result in disaster. Sometimes though, this happens only when the man shows sign of cheating. Imagine that. Because she senses something wrong with his attitude or actions, she then talks about the relationship to friends. Might be nothing happening.But.....sometimes, guys do indeed make a few poor choices sometimes even innocent at first. Get a number, make a few calls, and next thing you know, you are in touch weekly, daily and then visiting. Best to not go down that route..
Other times, there is every intention of extra curricular activity. Some guys think that since it is miles away from home it (cheating, meeting, getting involved, etc)doesn't count, but it does count. Some guys feel that what she can't prove won't matter. Using the right head for a minute and you can easily see that it does matter because it will affect your behavior. But I digress, the point is that both people need to be serious about the relationship if you are going to be in a relationship, and you need to be in one with a quality person. Concluding , every person has his own story and so does a truck driver. He travels along miles and miles , away from his family , listening songs that acts as a part of entertainment to his long tiring work and enjoys his life to the fullest……!! No Comment to " Family Life of Truckers "